Registration is open for the STAR Professional Development: "Community + Housing + Ex-Offenders." The training will be held from 8 a.m. to noon on Thursday, September 25, 2014 at St. Louis Community College -William J. Harrison Education Center (3140 Cass Ave, St. Louis 63106). Participating panel discussion organizations include: ArchCity Defenders, Center for Women in Transition, Criminal Justice Ministry, Gateway Greening, St. Louis Housing Authority, St. Louis Transitional Hope House, and St. Patrick Center. 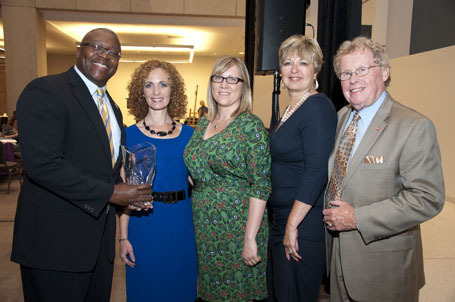 STAR Recognized for "Restorative Justice"
St. Louis Alliance for Reentry (STAR) was recognized with a "Restorative Justice" award from Center for Women in Transition at the Beautiful Transformations Dinner and Auction on May 30, 2014. The dinner and auction honored three other organizations and individuals in addition to STAR for making a difference in reentry, both within Center for Women in Transition and across the State of Missouri. STAR's mission is to integrate successful intervention principles and practices resulting in collaborative partnerships that enhance ex-offender self-sufficiency, reduce recidivism, and improve public safety and community health in St. Louis City and County. ARCHS serves as the co-chair of STAR, providing strategic management support services. The 2014 Missouri Reentry Conference will be held November 19-21 at The Lodge of the Four Seasons (315 Four Seasons Dr., Lake Ozark, MO 65049). The Conference fee is $125 (deadline October 24), which increases to $135 after the deadline. Online registration opens early August. The annual Conference is sponsored by Area Resources for Community and Human Services (ARCHS), Missouri Department of Corrections, Missouri Department of Social Services, and Family and Community Trust (FACT). 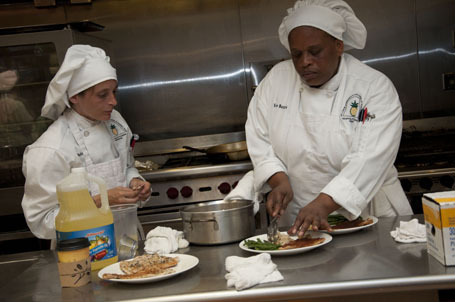 ARCHS is offering a limited number of scholarships for female ex-offenders to attend a special eight week culinary course at St. Louis Community College-Forest Park and receive support services. The Culinary Institute is funded by ARCHS and Lutheran Foundation of St. Louis.